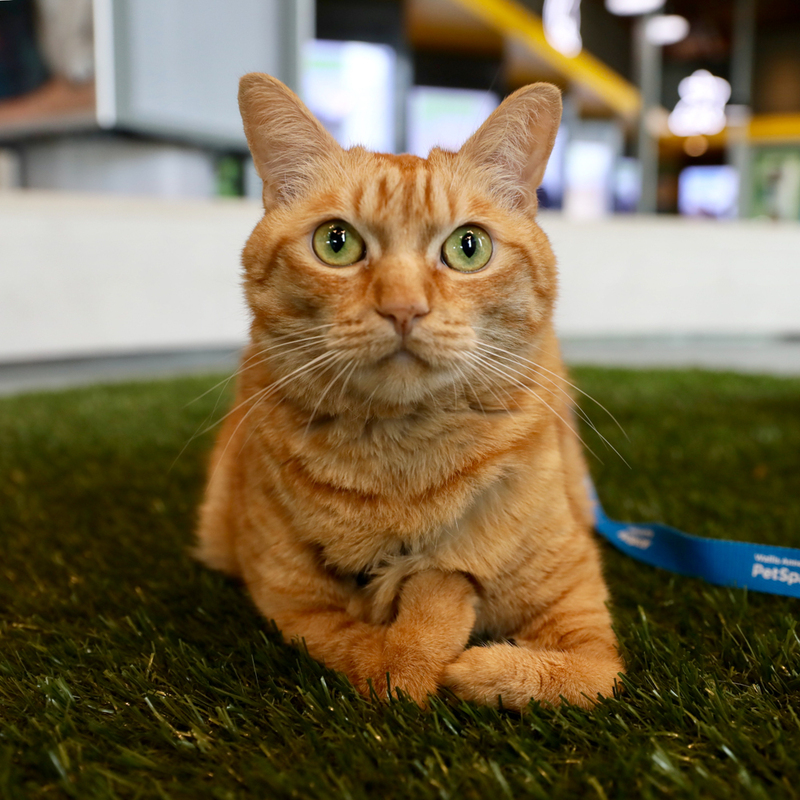 Sweet sol walks on a leash at Annenberg PetSpace. 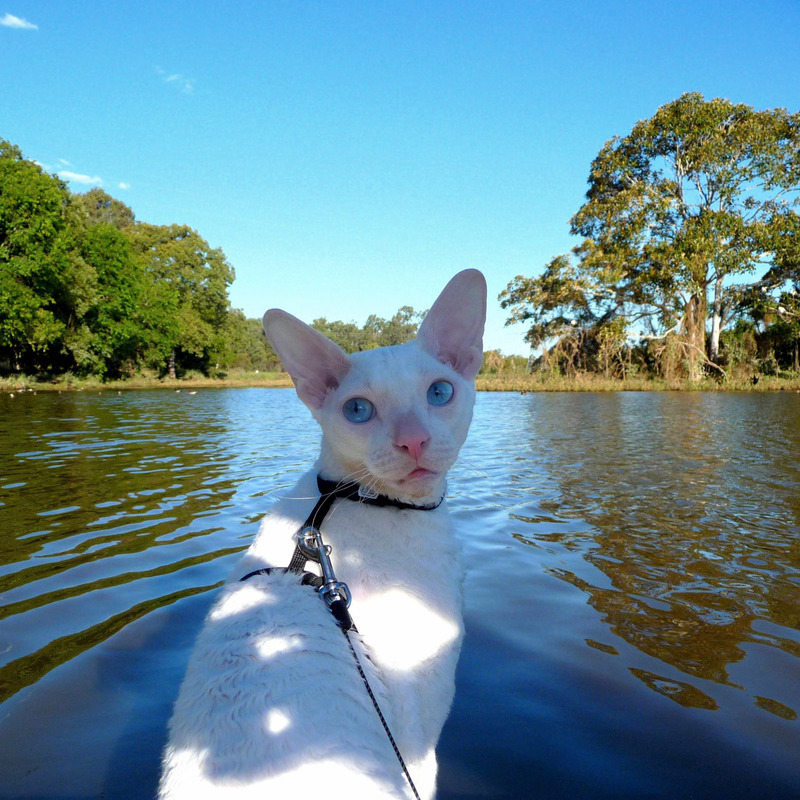 Gandalf is a brave kitty who's up for anything despite being deaf! 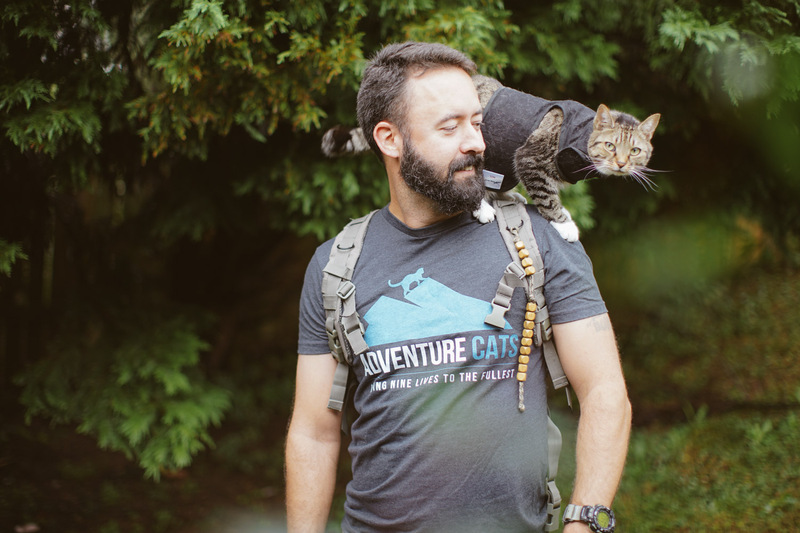 Not every adventure cat walks on four paws. Some rely on only two. Others wobble or even roll on wheels. 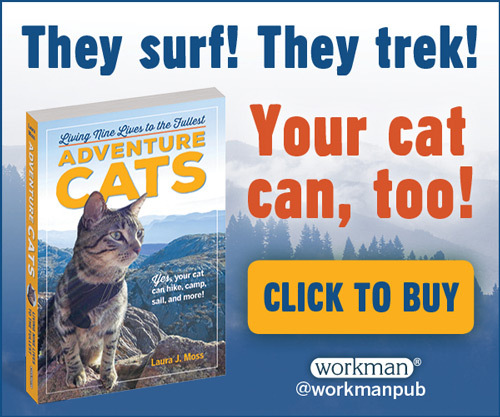 Regardless of whether cats have the same physical abilities, they all have adventurous spirits. 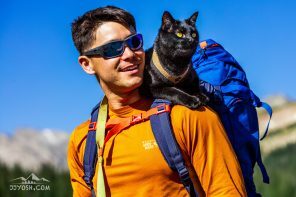 Six-year-old Sol — who excitedly runs around with the help a leash and a harness — purrfectly embodies this adventure-cat spirit. 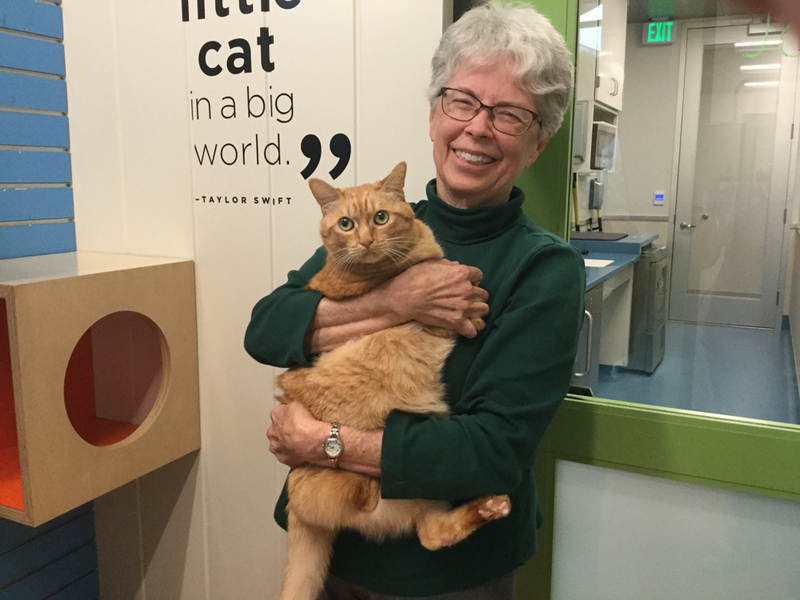 That indomitable enthusiasm landed Sol in a forever home, where she’s now known as “Marisol” and has plenty of space and windows to watch the wild outside world. 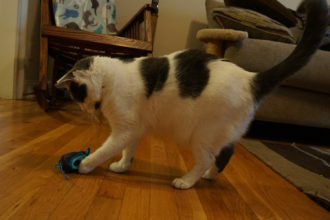 For new owners of any cat with a disability, it can seem overwhelming. But with a little patience and time, these kitties can surely live an enriched life. Beni, who is paralyzed in his lower body, can’t move his back legs or go to the bathroom on his own. 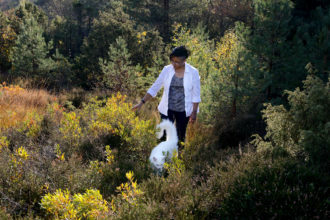 But when his owners Gwen and Chris Richards saw a video of him, they fell in love. At home, Beni doesn’t hold back. Donning a diaper, he gets around with his front legs just fine. 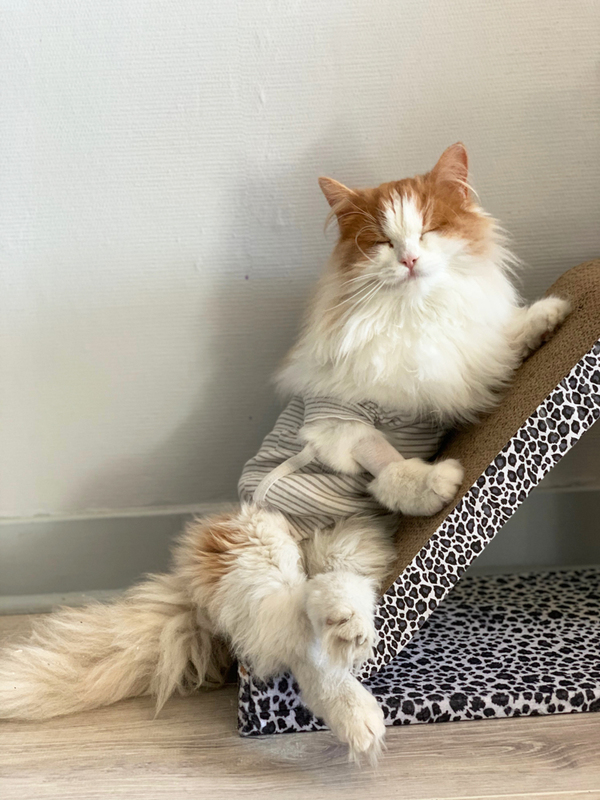 With a little help going to the bathroom and regular physiotherapy to keep his legs strong and healthy, Beni’s living his best life. And his owners are doing everything they can to make sure he can explore the indoors. 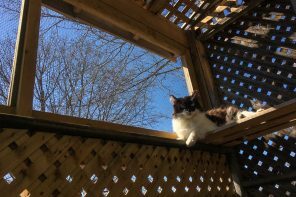 “We have built lots of ramps for him to access furniture, non-slip surfaces to help him ‘walk’ with his back legs,” Gwen says. 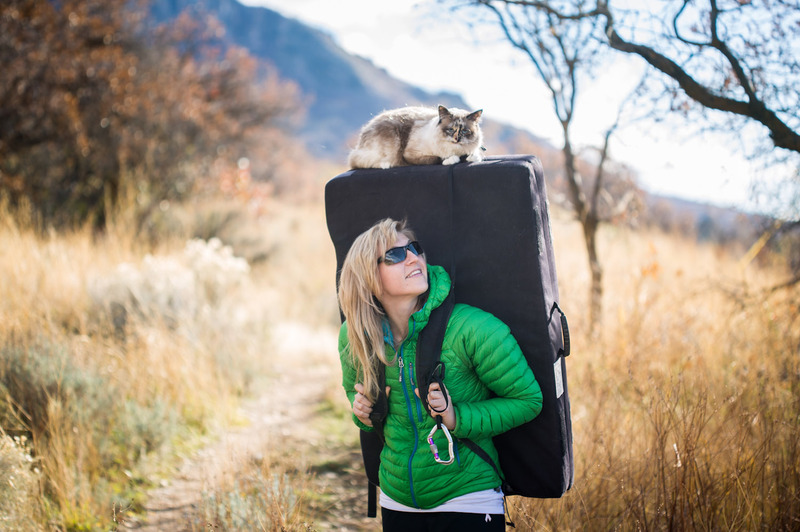 When it comes to ingenious solutions for cat mobility, Jennifer Baker Johnson and her husband, Dean, have perfected the art. 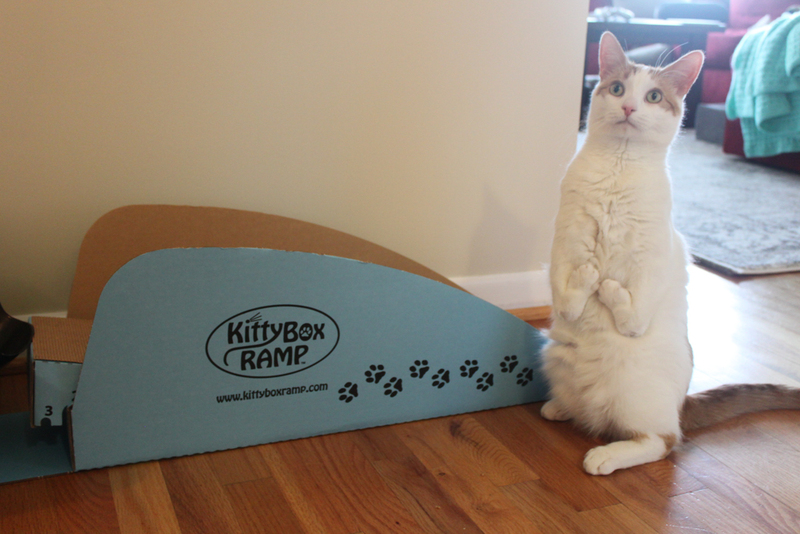 They created the Kitty Box Ramp, a cardboard contraption that attaches to litter boxes to help cats with arthritis and other physical disabilities more easily take care of their business. 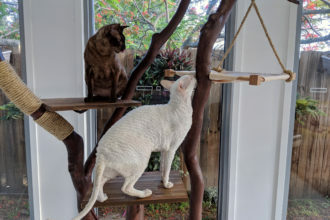 They first designed the ramp for their late cat Sam, who had severe arthritis in her old age. They’ve since made modifications to the ramp to add safety features, including tread pads to help prevent slipping. 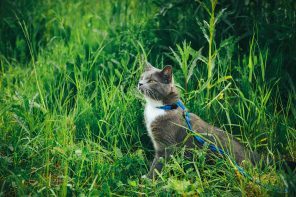 And just because a cat may have a disability or impairment, it doesn’t mean that he or she can’t still enjoy the sights, scents or sounds of nature. 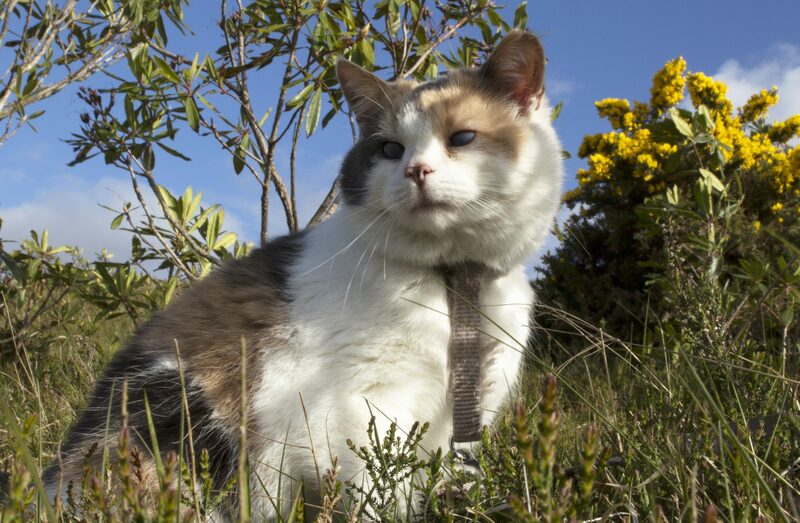 In addition to catios and strollers, plenty of fearless felines still venture outside on a harness and leash — even if they’re blind like Stevie, deaf like Gandalf or have a bone deformity like Parsley. 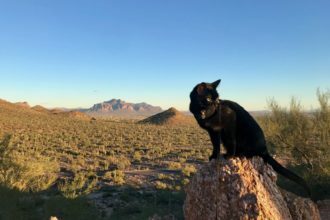 Even cats like Zhiro, who has cerebellar hypoplasia, a neurological condition that causes walking and balance problems, are still able to experience the great outdoors. Zhiro’s condition prevents her from jumping, but it certainly hasn’t slowed her down — or kept her from climbing. 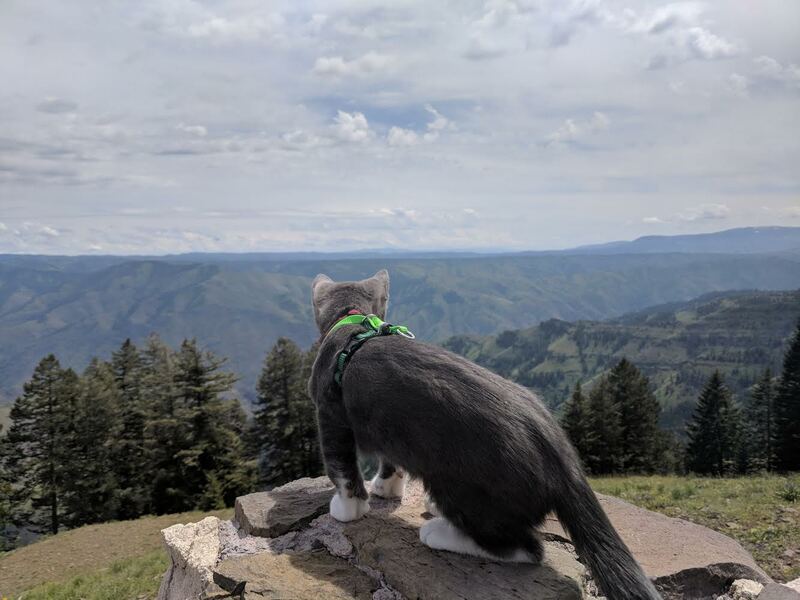 Zhiro loves to enjoy the view from atop Taylor’s crash pads. 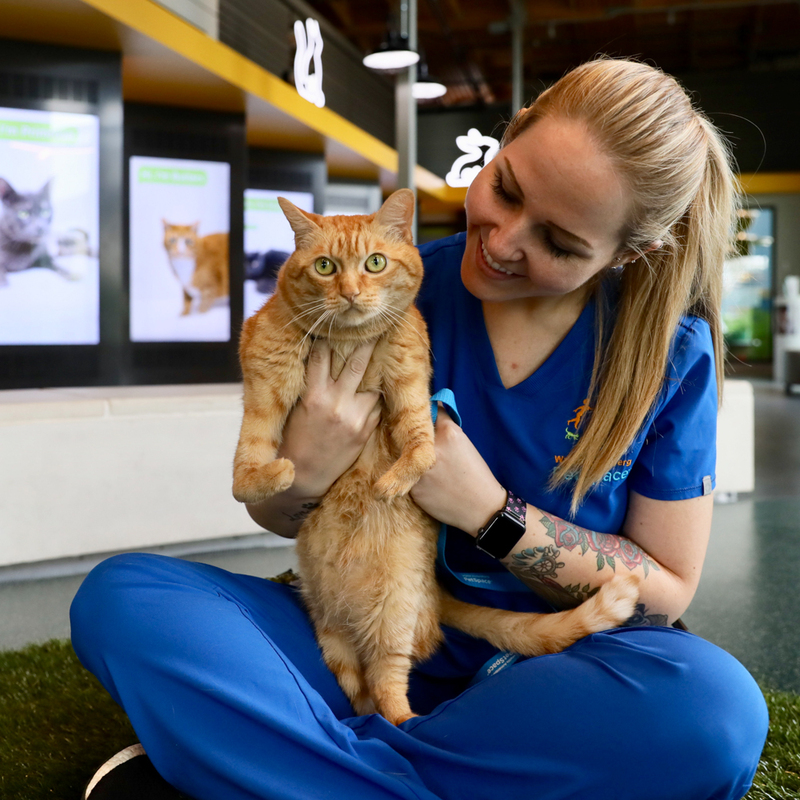 When it comes to adopting cats with disabilities, Hernandez says it’s simply a matter of making them comfortable and remembering they have the same desires as any other cat. And Beni’s mom echoes this advice. 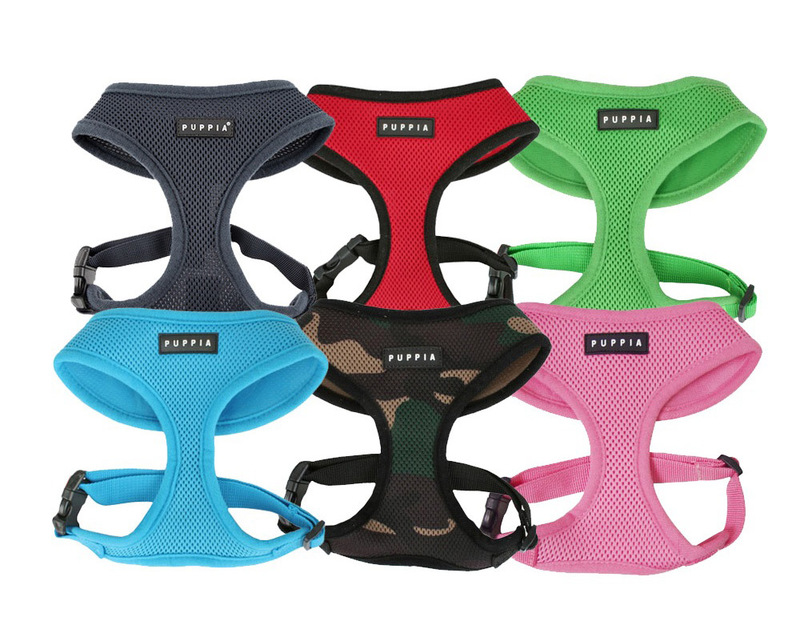 Do you have a kitty with a disability? Share your stories in the comments below!